MUST HE DIE TO KNOW THE TRUTH? Archivist Luc Gabion is dying, slowly, victim of a forced technology implant while on assignment. He brought down a powerful terrorist, but at great cost, and this new tech brings unexpected dangers. 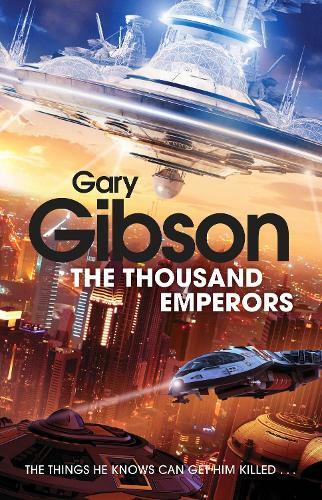 Luc must investigate the Thousand Emperors, rulers of the Tian Di's stellar empire. One of their number has been murdered and he needs to find the killer. But the technology he now carries supersedes anything he's encountered, and Luc sees things he knows are forbidden. As the truth emerges, he's in trouble. Any of these leaders could be guilty - and could execute him on a whim. Worse, the murder victim was brokering the coming Reunification. Two great warring civilisations, separated for centuries, due to unite in a new age of peace. But it becomes clear that someone will do anything to ensure that day never comes.